I had a very short encounter with the other part of Ilocos Norte–the part where the Marcos family are more predominant. My friends and I decided to have the Laoag tour in the last part of our itinerary since we planned on riding a Florida Bus again to Manila and Florida’s terminal is in Laoag. And that’s actually a not-so-good idea. You’ll find out why…. From Pagudpod, Laoag is about an hour away. The tricycle driver who toured us in Pagudpod the day before was also the one who picked us up in Arinaya Beach Resort and brought us to the nearest bus stop where we road a bus going to Laoag. If I remember it right, the fare was around P70 per head. The first thing we did when we arrived in Laoag was to purchase in advance a ticket in Florida Bus bound to Manila. We didn’t book for another room in Laoag since we’ll also be leaving for Manila that same day. We just asked the guard in Florida if we could leave our stuff in the station and he was nice enough to let us and even promised that he will look after our things carefully. We initially thought of availing a tricycle tour of the city but then we found the P800 charge of the first tricycle driver we approached to be too costly. So, we just opted to have a do-it-yourself tour of the city instead. Because I was very much inching to see the preserved corpse of former president Ferdinand Marcos, my friends and I agreed to go to Batac, Ilocos Norte, first since Marcos Museum and the Mausoleum are located there. I actually felt goosebumps when I set foot in front of the door of the Mausoleum because of the instrumental music being played inside and the thought that a dead body was actually in there. We asked the bravest of us four, Mother Lulu, to lead the way. The place was surrounded with white roses made up of ceramics, I presume. There at the center, was the preserved body of Pres. Marcos. The moment I saw his body, I went nostalgic. It was as if I was transported back to the time when I think I was only 4 or 5 years old. I was seated beside Papa in the living room while watching the news about the coup d’ etat. I remember seeing the face of Ferdinand Marcos in the TV screen telling something to the public. The memories were very vivid. Taking pictures were not allowed inside the Mausoleum for obvious reasons. The Marcos Museum, which houses the memorabilia of the late president, is just situated beside the Mausoleum. I was so excited to see all those Marcos memorabilia since I’ve been hearing a lot of them from friends and family who’ve been to Ilocos Norte. But my excitement quickly turned into a sheer disappointment when the caretaker of the Mausoleum told us the Museum is closed every Monday and is open from Tuesday to Sunday. Why of all days does it have to be closed on a Monday? Why!!!!??? A fellow tourist who was also in the place that time told us that the Malacanang of the North is also closed every Monday. Another frustrating information. I was thinking of a way to get inside the museum, even if it means going to the house of the caretakers just so they would let us in. I was really hoping against hope. We waited. But no answer came. Until we decided to just re-do the Laoag tour just so we could see what’s inside the Marcos Museum. 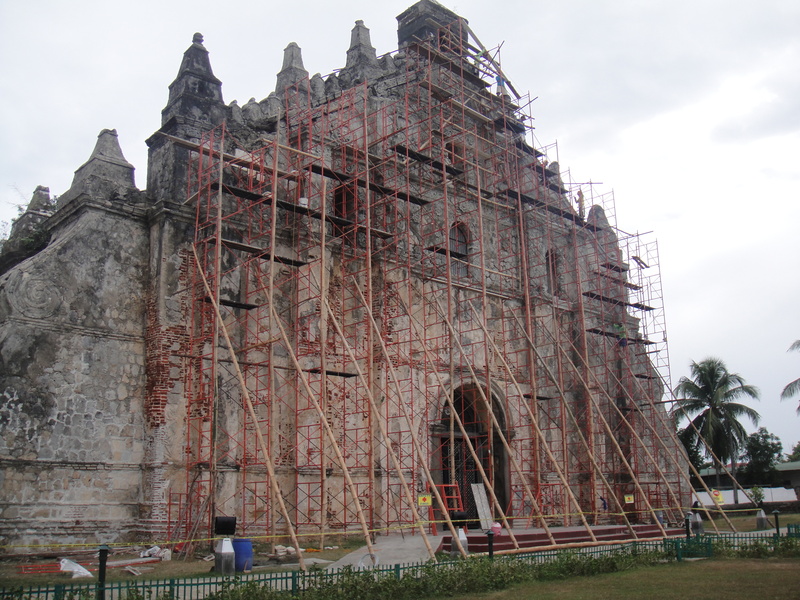 What’s even frustrating was that when we went to Paoay Church, the facade of the church was being renovated so we weren’t able to take a nice photo of the church. I was so disheartened. I felt like a little child then who was promised of a day in the amusement park only to be disappointed because the park was closed when they got there. Because we were all disappointed, we decided to just head back to Laoag, eat merienda and buy pasalubong in the market. We decided not to go to Sand Dunes anymore and just save that for another Ilocos Norte tour where we will make sure that all the museums are open and no construction is going on. Back in Laoag, we thought of just checking what’s inside the Laoag Museum hoping it could lighten our moods up and to kill time as well. The museum is located along Genereal Luna street. It is a two storey building, structured in a such a way that there’s a stairway to the second floor showing the living quarters of Ilocanos : the hall, bedroom, living room and the kitchen. 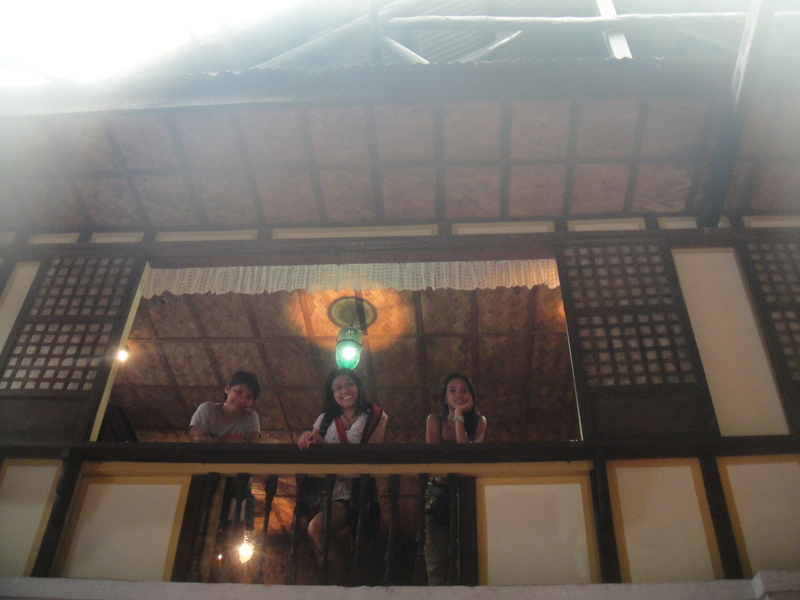 The dummy old Ilocano house inside the museum made me yearn to go back in time again. I just love the simplicity the old Philippines evokes. 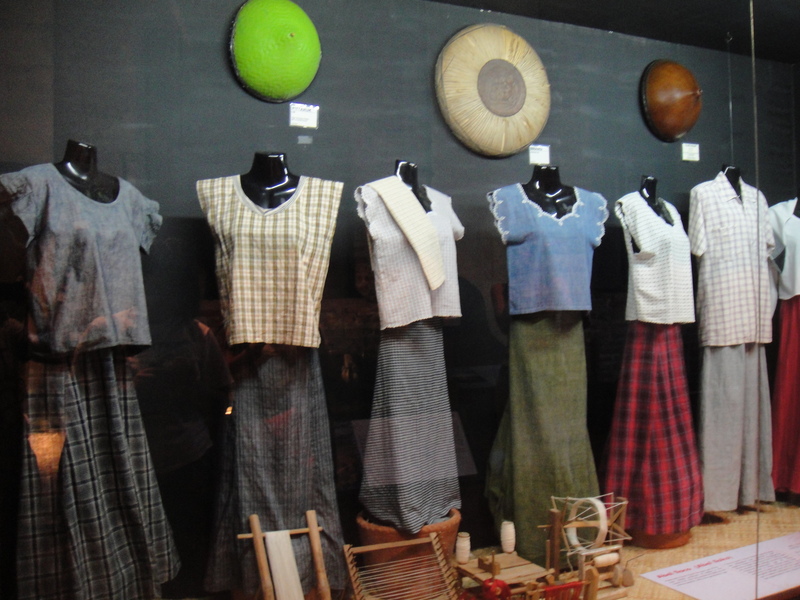 The Laoag Museum experience somehow put back the zest in our tour. 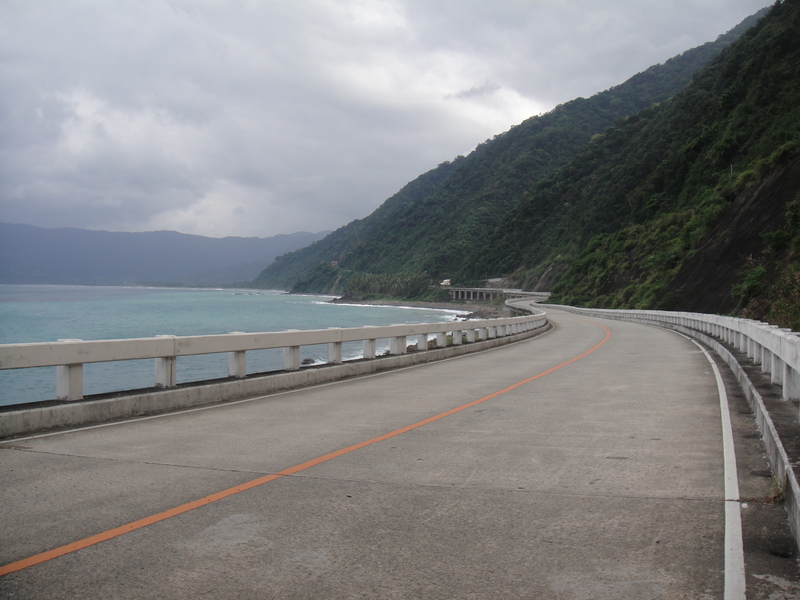 Ilocos Norte truly deserves a second try. I know that this part of the country has so much to offer to the wanderlust in me. I will really make sure that there’s a re-do of this Ilocandia tour. Always make sure to bring Tylenol or Cataflam most specially that I’m always having migraine attacks. Make sure to check museum schedules first when planning the itineraries so there won’t be wasted time again. Check if there are construction going on to the spots you’re going on as well to save your tour from being spoiled. It’s better to schedule the buying of pasalubong in Vigan than in laoag since there are absolutely a lot of things to buy in Vigan. 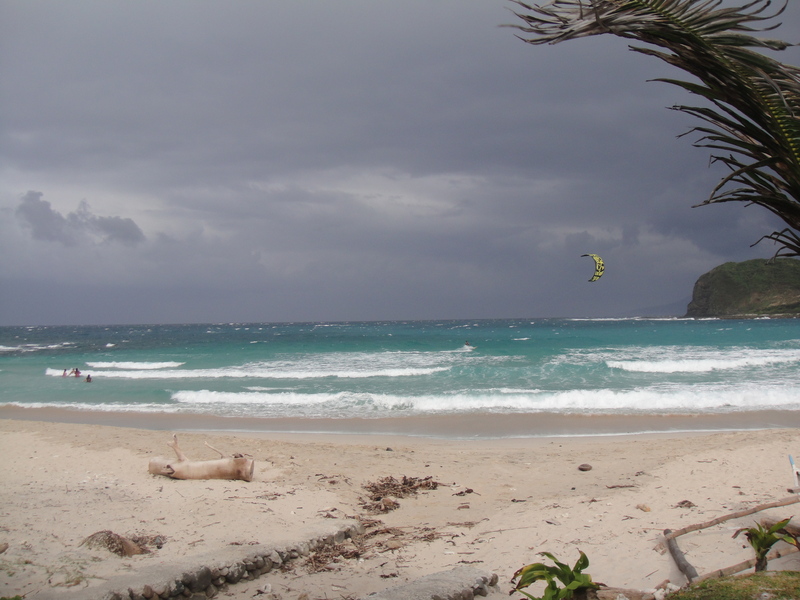 The northern part of the Philippines holds a very special spot in my heart. I don’t know why but when my mood’s not on a high and I need to think of feel-good scenery, the places in the North are a staple part of the picture–Baguio, Sagada, Banawe, Baler, Pangasinan, La Union, Tuguegarao, Aparri, Isabela, Vigan, Pagudpod, and my most-fancied destination–Batanes. I even feel sad whenever I hear storm news greatly affecting that part of the country. Could it be that in my past life I was an Ifugao, or an Igorot, or maybe an Ivatan? Okay, scratch that! I don’t even believe in that past-life thing. Maybe it was more because both my mama and papa’s families hailed from Bulacan, which is in the north. Even when I don’t fully grasp the idea of traveling yet, I already had wanderlust encounters with some part of the North as a child. The long bus rides or drive in North Luzon Expressway going to Bulacan, Bataan or even Baguio left a happy and remarkable mark in my thoughts which I’m carrying on until now. As a child, I could only glance at most places in the north through my Sibika book, which was of course, in news print so I couldn’t even picture the real image of those places in my head. Good thing God blessed me with good jobs that could pay for my travel expenses now and a wayfaring heart that seeks to see the the beauty of those places in the pages of my Sibika book come to life before my very eyes. I seek to travel and see all the beautiful places in the Philippines, not only the northern part, but ALL. And that ALL meant I have to be a millionaire –or a hundred-thousandnaire if only there’s such a term since I don’t think it would really cost you millions to travel the whole Philippine island, especially with my ‘payak na pamumuhay’ way of traveling. I decided to make this travelogue about Ilocos Norte in two parts since there are a lot of things to say about this place. My friends and I went to Ilocos Sur first before we headed to Pagudpod. It was a quite long, almost 2-hours ride from Vigan to Pagudpod. But it was worth it. Pagudpod’s really a piece of heaven. To make the most of our time in Pagudpod and visit the tourist spots there, we decided to avail of the tricycle tour offered by the tricycle drivers of Pagudpod. 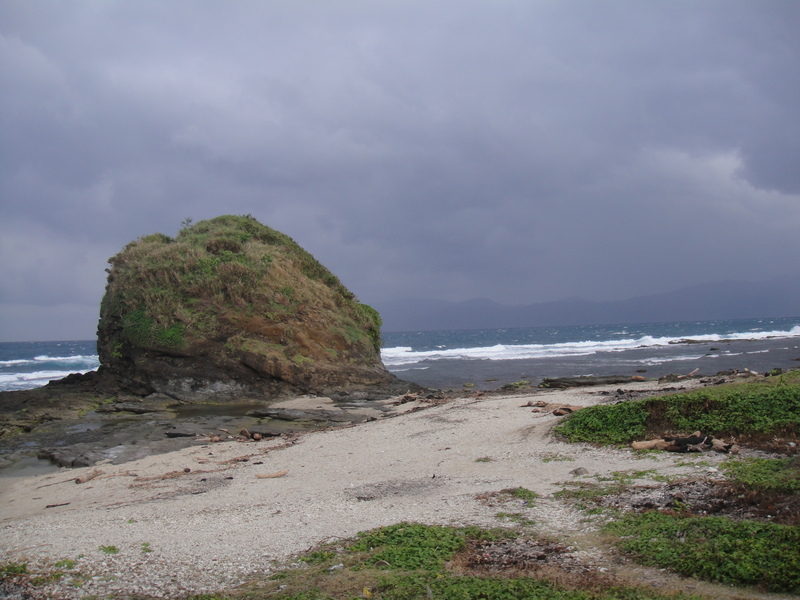 The tour is actually divided into two parts–the Northern (Pagudpod) and the southern tour (Bangui and Burgos). The usual rate is Php 600 for a minimum of 3 pax for each tour. We didn’t have ample time to tour the whole place so we asked Manong driver to give us a package fit and cheap enough to accommodate all four us with only some parts to tour. After a few haggles, we agreed on a P1000 tour package. Our first destination was the Patapat Viaduct. 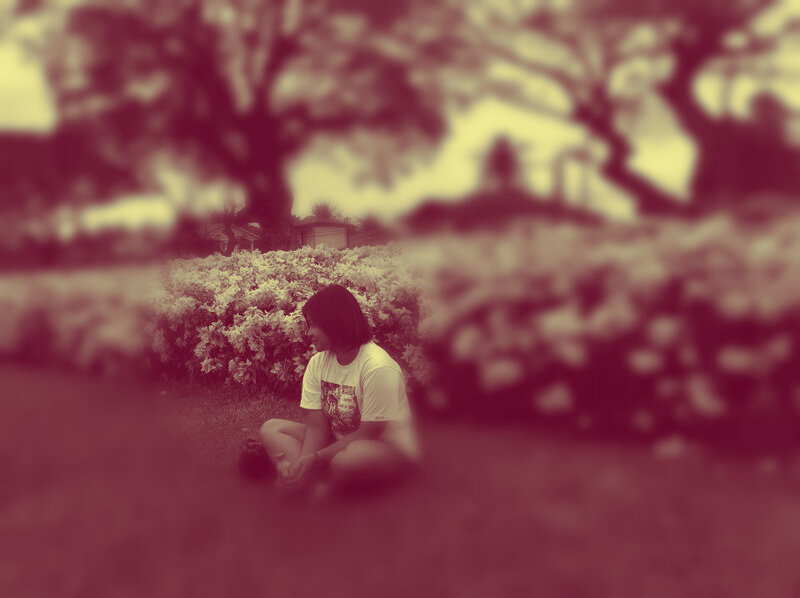 It was only then that I came to know that Tuguegarao is farther than the Ilocos region. All thanks to the bus with the Tuguegarao sign which passed by the road while we were having our photo sessions. Next, we headed on to Timangtang Rock. 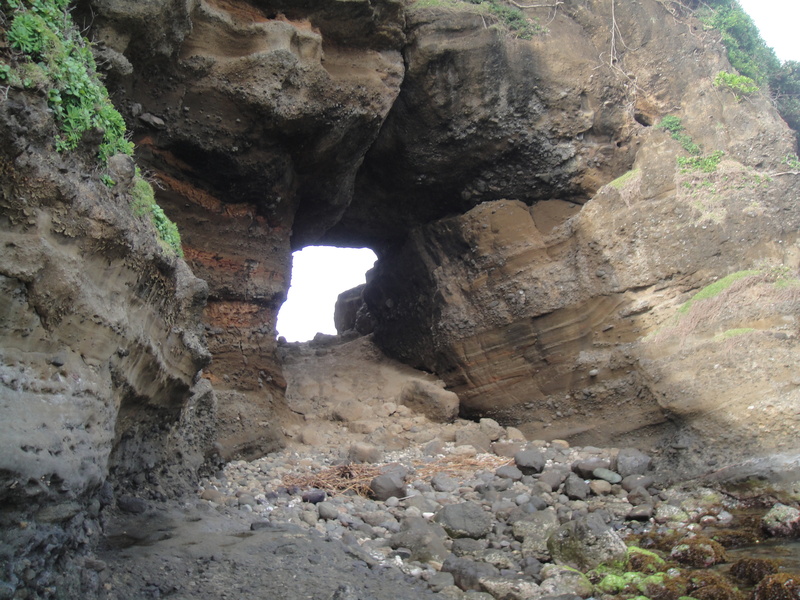 And then, the Bantay-Abot Cave. 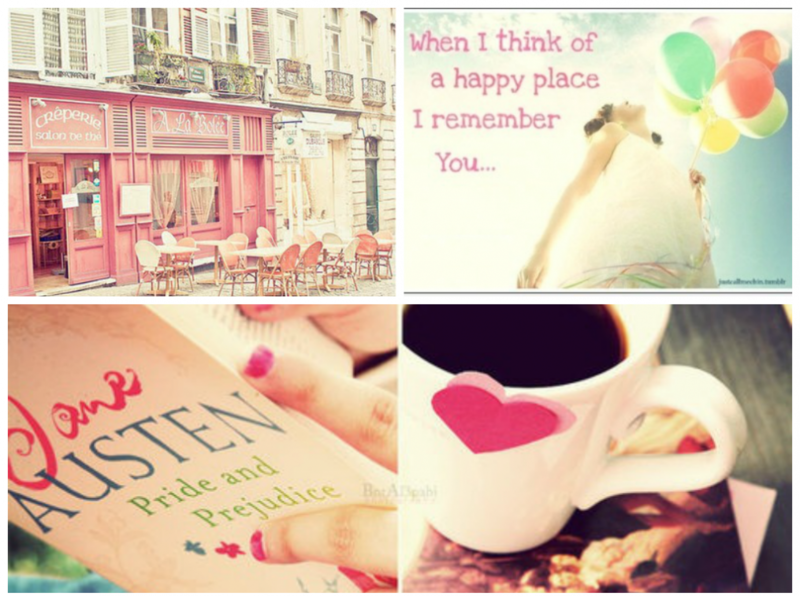 Okay, I was too engrossed with the story. I’m really a sucker for romantic stories–kahit pa tungkol sa bato yan! Back to the tour, the last stop in the northern part tour was the Blue Lagoon. 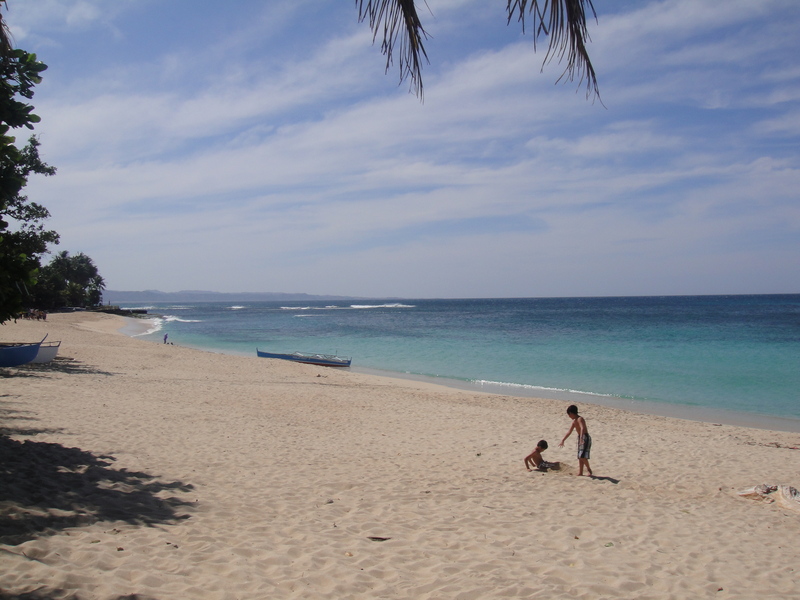 It’s a u-shaped stretch of white beach, shaped pretty much just like Dakak. And now, the southern part! 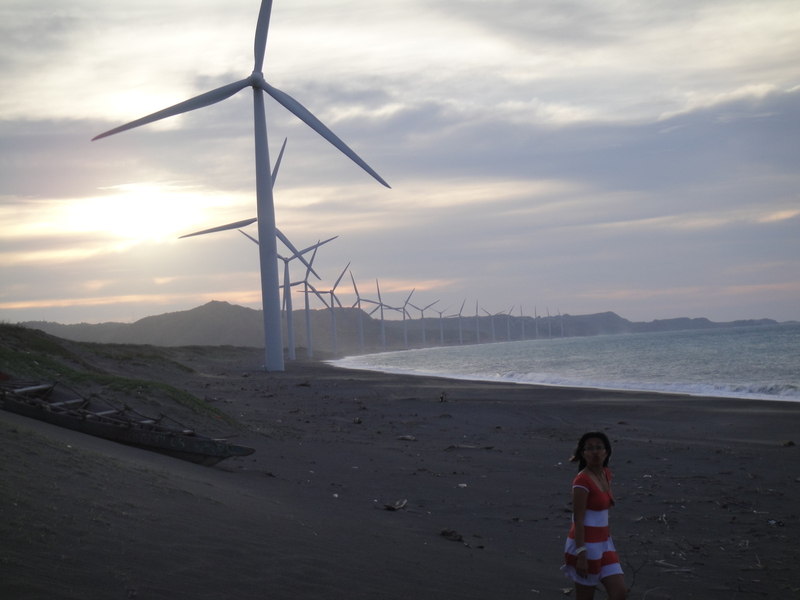 Actually, we only went to Bangui to see the Bangui Windmills since it’s a must-see in Ilocos Norte. We finished off the tour almost past 5pm. We didn’t want to be traveling on the road in the dark so we asked Manong driver to bring us back to the resort already. It was a very tiring but happy day all together. I was seated at the back ride of the tricycle driver the entire tour and all the time we were traveling on the road to go to various tourist spots in Pagudpod, I only have all praises and thanks to Father God for blessing the Philippines with such abundance of nature. God must have love our country so much to be pouring out all these natural wonders to the Philippines. In most of my travels with friends, I’m always the one looking for and searching online for cheap but nice accommodations and everything about the place we’re going to. 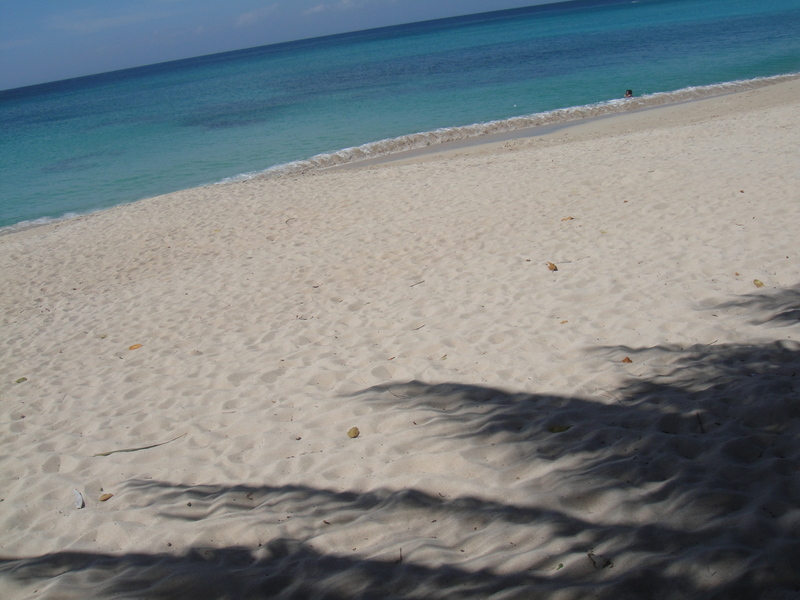 In this particular tour, the cheapest but nicest accommodation in Pagudpod I found in the net was the Arinaya White Beach Resort. The place was cheap, alright, as compared to the other resorts in Saud since we only paid P2000 for the room (good for 3 pax) plus P200 for additional person–but it isn’t highly recommendable. First off, the resort manager–COLEEN (not sure of the correct spelling of her name)–was nosy and snob. When we ate in the resort’s restaurant for lunch, almost everything that we ordered were not available and she kept looking at us with a snooty face. Her staff, whom she’s been talking with while we were eating, even asked us if we were in-house guests. In all fairness, the rest of the staff were nice naman, especially the ate in the reception area and the ate in charge of the kitchen and restaurant at night. She even gave us hot water for one of my friends who was suffering from stomachache that night. It was only that Coleen who’s discourteous. One of the staff told me that Coleen’s the wife of the owner of the resort so maybe that’s why she’s that arrogant. Their room was a little dirty with a not so nice smell and a faulty bathroom’s doorknob. I think it’s better to book in another resort if you want to enjoy Pagudpod more.